15 Inch L x 15 Inch D x 48 Inch H Single Tier Welded Steel Locker in Dove Gray These designer steel lockers are built to last and feature cool colours that kids and teens will love. Great for storing school supplies, books, back packs, clothes, shoes and much more. All lockers are Greenguard Certified. 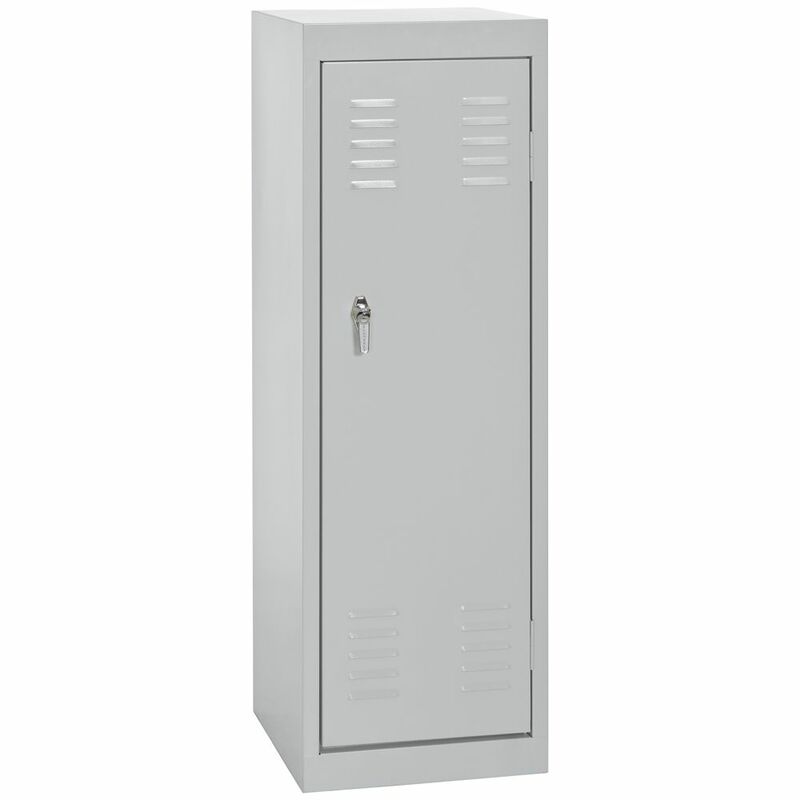 15 Inch L x 15 Inch D x 48 Inch H Single Tier Welded Steel Locker in Dove Gray is rated 3.0 out of 5 by 2. Rated 2 out of 5 by studio1 from damaged lockers Ordered 2 lockers online and picked them up in store. Once I got them to work and took them out of the boxes, they both have dents all over. Not to mention one of them had a broken locking mechanism, and we had to take the door completely off to fix it. Would have returned them, but we needed them immediately. 2 stars for they look exactly like expected from online photo. Rated 4 out of 5 by Anonymous from Good locker! Bought it for my kids room. Showed up a little dented and scratched but in overall good condition.